No matter what cooking challenges you face, What's for Supper likely has a solution for you. The Supper Table offers quick fix solutions on everything from salads to beverages, including a recipe to make perfect sweet tea. We are on a pretty strict grocery budget, so Dinner's in the Pantry was a big hit, offering new recipes made with ingredients I had on hand. Don't Drive Through, Drive Home is full of recipes that are quick to prepare and taste so much better than fast food fare. My favorite chapters are No-Cook Suppers and Slow Cooker. Summer in Texas is not the ideal time to be slaving over a hot stove, so delicious recipes that can be made without heating up the house are always a welcome addition to our menu. Those with Picky Eaters will find an array of kid friendly fare sure to please those with even the most discriminating palettes. I also very much enjoyed the Cooking for Two chapter because this is something I still find challenging after so many years of cooking for a bigger bunch. In Weeknight Company you will find great recipes to offer guests that won't have you in the kitchen forever, but will still impress. What's for Supper really offers a little something for everyone. 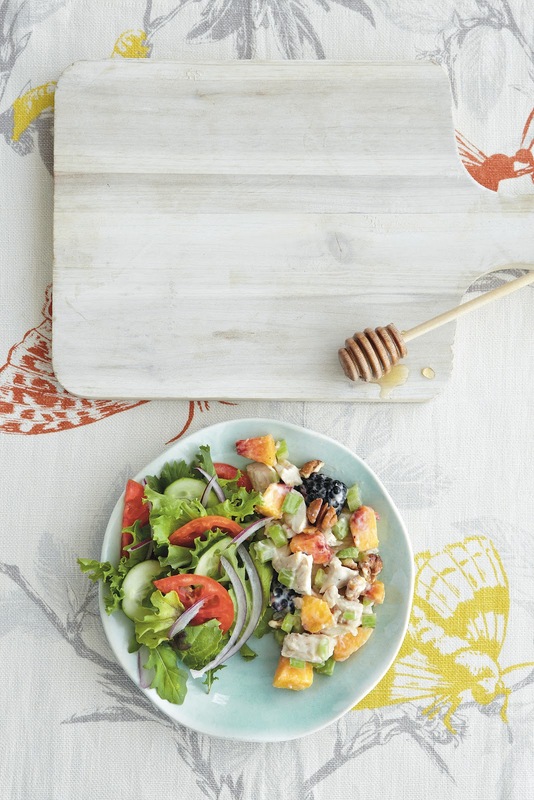 One of the tasty No-Cook Suppers recipes is this light, refreshing Honey Chicken Salad. It makes a great supper on a hot evening. hands-on time: 20 min. total time: 20 min. 1. Combine first 5 ingredients in a large bowl. Process 1⁄3 cup raspberry or red wine vinegar, 1/4 cup sugar, 2 tsp. Dijon mustard, 1 garlic clove, 1/2 tsp. salt, and 1/2 tsp. freshly ground pepper in a blender or food processor until smooth. With blender or processor running, add 1/2 cup oil in a slow, steady stream; process until smooth. Stir in 1/4 cup fresh basil. Top salad greens with sliced vine-ripened tomatoes, cucumbers, and 1/4 cup red onion; drizzle with dressing. 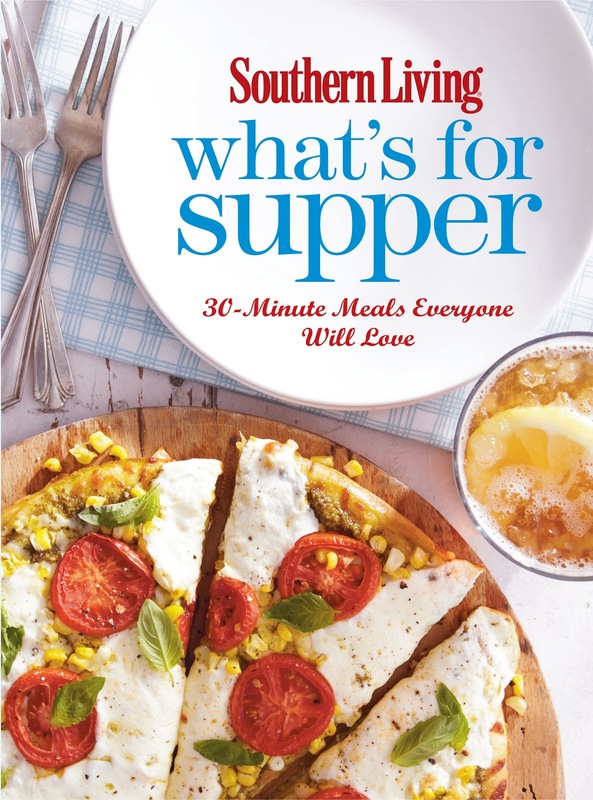 Want a copy of What's for Supper to add to your collection? I have a copy for one lucky reader!